Volunteers purchase the groceries at local supermarkets on the Friday before Thanksgiving, and deliver them to the staging areas for assembly. 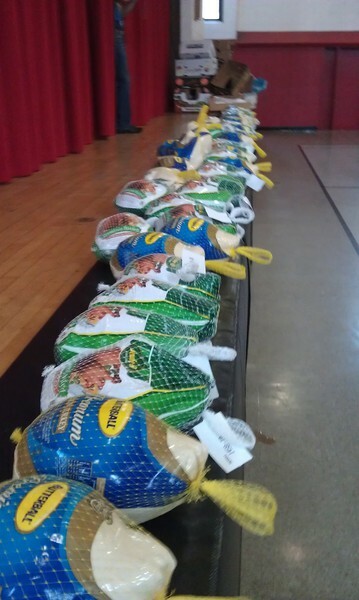 On the Saturday before Thanksgiving, volunteers show up at the staging area, assemble the baskets, and deliver them directly to the families in need identified by our not-for-profit partners. It is a lot of fun and very rewarding, so come on out and help us for a very worthwhile cause!